Kalinger Paris Stretch Bracelet. Signed Kalinger Paris, circa mid 1980s. 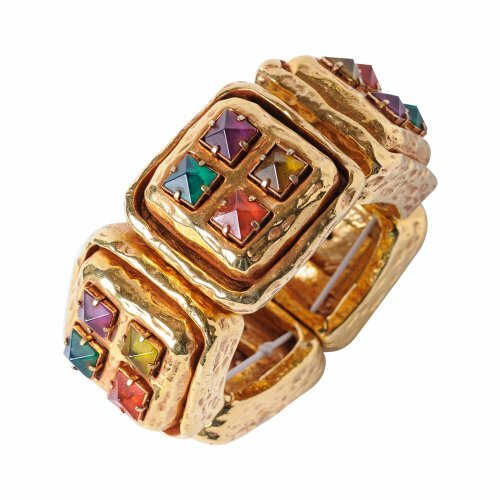 The bracelet consists of chunky gold toned metal squares, with hammered texture. Each section consists of four inverted stones of different colors. The stones are made of resin. We also have a matching pair of earrings. Please see our other listings.